The implementation of planting by the Moon. We have been mulling over the best way to optimise our planning and planting regime that gives better results on the ground and in the beds. Rather than doing what you can, based on when best you can do it depending on the weather, we thought about moon planting and how it works. Looking around for a credible knowledgeable source in the Southern Hemisphere proved difficult, confusing and very time consuming. After a lot of question asking and comparing conflicting answers we found there to be only one satisfactory result. Astrology Solutions Network designed by Monika Barbour. Monika provides a comprehensive and detailed calendar that once you get your head around how it works frees up time and effort. The way it works is by knowing when to prepare to plant, what to plant and when, when not to do anything and plan ahead. It is similar to following a timetable. Everything is laid out maximising your efforts and endeavours leaving some free time available once used to the system. Planting now is undertaken with two thoughts in mind. First is to plant something in an ad hoc manner on one side of the bed and the other according to Monika’s moon calendar. The difference is remarkable with some varieties and still noticeable in others. A new strawberry bed was dedicated to the concept and the plants put in in opposition to the moon and with the moon. The result was few berries and short runners in the off moon side and punnets of fruit on the on moon side with runners having up to three or four new plants on each. Companion lettuce and onion seed were thrown around in both beds with some germination but it is believed most of that was consumed by mice that have moved in in big numbers. They don’t eat the berries but will chisel off the seeds on the outer skin. Makes for interesting picking with smooth fruit and the chooks love the extra treat. No way I’m eating anything that a mouse has crawled over. 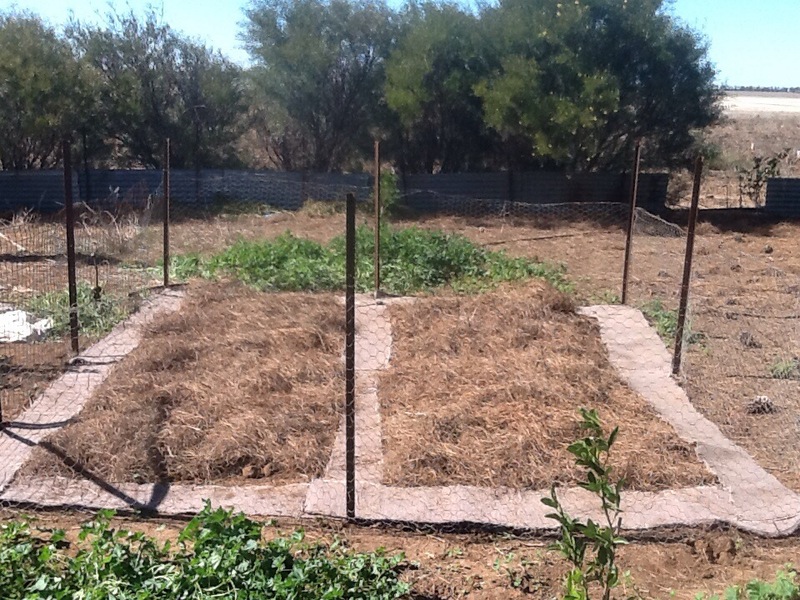 All peas, beets, carrots, lettuce, thyme, wheat, oats, barley and more are in using the method with varying results but all in favour of planting with the moon. Monika gives the best advice in either email or on the phone to get you started and is available most of the time to clear up any confusion. Her explanations are easy to understand and she does try to get you into the moon cycle yourself and understand why it works the way it does. As said before, you end up with stuff completed more comprehensively sometimes leaving a bit of free time which we didn’t have before. The calendar consists of a timeline for the month with 11 lines of info some of which is colour coded. There are only two lines not applicable to gardening, those being the tide and void of course moon lines. Each line is then explained in very detailed notes Monika has compiled accompanying the calendar. Our advice in following the calendar is to not get too caught up in the detail, just let Monika guide you through each line of info and it will fall into place after a couple of months. As for the mouse problem we have experimented with more sustainable methods of eradication while using commercial baits as little as possible. Our three bait variants are commercial wax blocks, homemade mix with borax and homemade mix with baking powder. Any mice left laying around after a wax block baiting are removed to eliminate any pets or native animals eating them and getting sick. The borax and baking powder mixes are natural material and have had no effect on our dogs, cat or natives to date. The home crafted baits are tasty and mice love them but will get used to the additives and become bored not eating any more. Time then to change to the next mix which they hoe into. Keeping the rotations going has removed huge numbers of mice and the farmhouse is now largely rodent free. With colder weather coming the expectation is numbers to plummet and the smell of dead mice in the Terradome to subside, not that the Silvers and Yabbies have complained. Strawberry bed, left is moon planting and right is ad hoc. Next pic is from the gateway showing a section of both beds weeded. 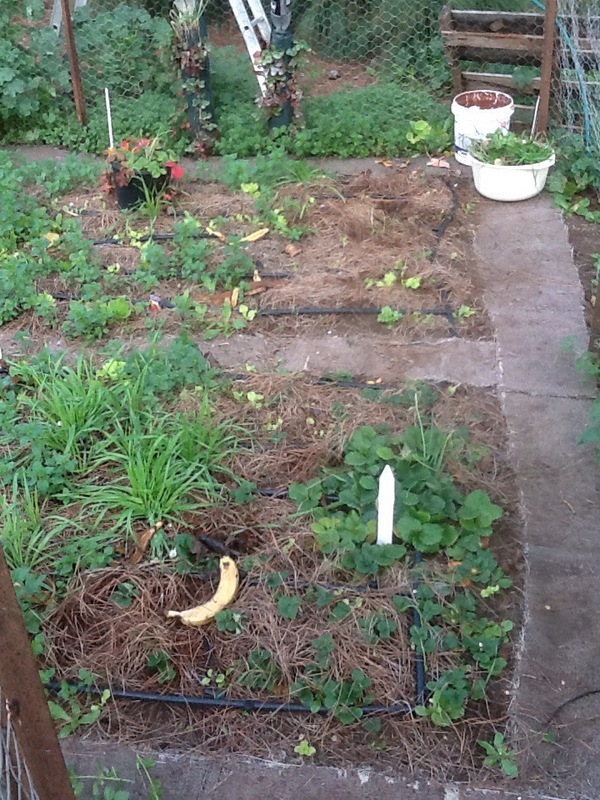 Loose seed lettuce and onion were thrown over both beds but the lower bed clearly show strawberries that were planted on moon and the upper bed though hard to see are only four runners that took. They were planted a fortnight prior to the lower bed. 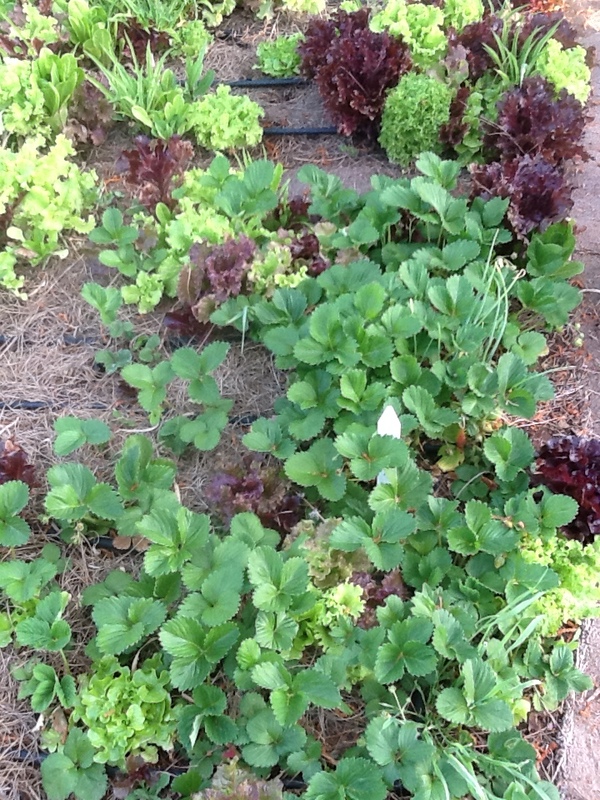 The same amount of lettuce and onion have freely germinated but the strawberries have not taken in the off moon bed. 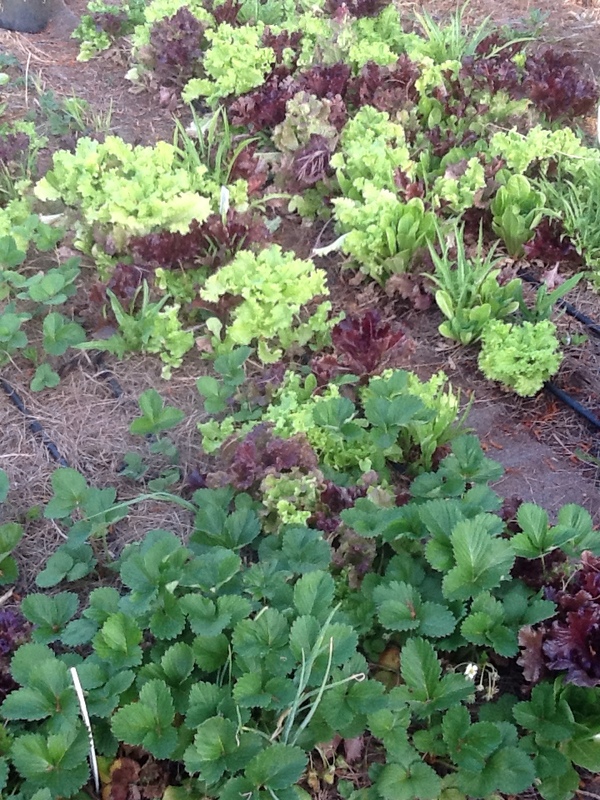 Bloody mice are not helping by cleaning up most of the lettuce shoots. An update since we got the upper hand on the mice, as you can see above how the lettuce was being nibbled as it came up. Our baits are perfected with nothing left but natural ingredients. We used three alternating baits consisting of castor sugar, borax and baking powder, not soda, with the common ingredient being plain flour or rolled oats. Equal parts rotating daily so they don’t get too used to it and look elsewhere for food. The plain flour and castor sugar gets them interested then you swap it over with plain flour and borax, back to the sugar bait then onto the plain flour and baking powder then back to the sugar. What happens is the mice can’t pass wind which the ingredients cause leading to them dying of a massive gut ache. By changing over the baits everyday does not allow the adults to return to the nest and feed the young creating a generational gap breaking the breeding cycle. This bait is not for pets or kids to play with, I used margarine type containers, the clear ones, with a hole cut out of the top large enough for an adult mouse to enter, feed then go away and die. Being clear you can see if there is anyone in there, how many and how much bait is left. Big difference in what the mice were eating before to now. New chook house from second hand materials.